What do you think about when someone mentions a Doppler radar, what comes to your mind? For most people, they think about the weather channel on the television. Although, the weather is the most popular use of this type radar, many people still know little else about them. For example, the radar originally created in the beginning was for the military use primarily. An Austrian physicist named Christian Doppler created the Doppler in 1842 and thus named after him. He discovered there was a way to see the difference between different frequency waves. The different audio frequencies waves observed alongside of the actual frequency emitted in relation to the person or object moving closer to or farther away from the source of the frequency waves. Doppler determined the frequency of the waves reaching the ear in a certain measure of time and could be used to determine the tone or pitch that is heard. When a person or object is not moving, the tone would generally stay the same unless the object is moving at right angles. However, if the source of the sound came closer, then the number of waves reaching the ear would increase as well as the pitch. This would work the same if the source of the wave were to move away thus the waves would decrease along with the sound of the pitch. A phenomenon we would come to know as the Doppler Effect. This effect would later be highly developed to create radars specialized in specific scientific fields. The early Doppler radars relied on large analog filters to get any usable performance data use from them. These older radars required the use of large bulky equipment to work the radar. All this extra weight limited there with daily activities, causing the military aircraft to go only on night operations, heavy weather events or jamming situations; however, they still wanted to take advantage of this technology regardless of the weight the military went ahead and implemented the use in the early 1940’s. This changed in the 1970’s when the Doppler no longer relied on the large analog filters, waveguides or amplifiers. As a result, the Doppler improves, and continues to be refined into a lighter and more efficient system. Now with the use of modern Doppler systems, they are extremely light and mobile enough for ground surveillance. This includes the ability to detect motion from any vehicle while in combat in any type of weather and at any time. Even now, the radars the police use today are a smaller and more portable version of a Doppler radar. Once the new digital technology became readily available, the radars became more specialized, lighter, and even more affordable. This is when the more common Pulse-Doppler was introduced. These radars combine all the benefits of both long range and high velocity ability’s. Under normal circumstances, most radars can only do one or the other, the one’s that can detect high velocity does not have a high resolution in speed and vice versa. When looking at weather radars, they use radio waves from their antenna to receive the information they use to interpret the forecasts. By reflecting the radio waves through the air and off anything in the atmosphere and sending it back to the radar. The radio waves the weather stations use are so sensitive it can pick up anything from raindrops and hailstones to bugs and dust, which help to reflect back a portion of the wave back to the antenna, after which the Doppler will convert those frequency waves into useable information that includes the location, and the intensity of the weather event. All this information is then sent to the computer processor for the Doppler. Then the converted information sent from the computer now shows the difference in the frequency giving the meteorologist the ability to show the direction and speed of the oncoming wind and rain. Now with all of this new information they can know what the weather is doing or going to do within the next few hours. 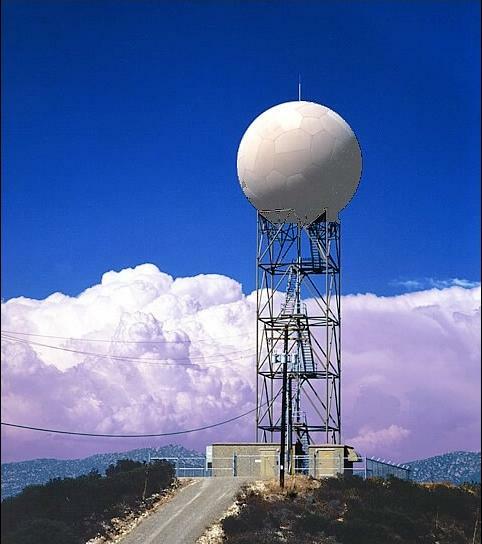 The Doppler weather radars are of the high-resolution velocity radars, and between the 1980’s and early 1990’s the National weather Service installed these radars all around the USA. Even some newer televisions stations have their own radars while other get their imaging from the NWS radars. With this new radar technology, we can now be informed and be able to prepare for any potential weather threat in the world. In conclusion, even though this journey was only a very small part of the Doppler radars journey. The invention of this type of radar has had a far-reaching effect on the world everything from your radio and catching fish with the depth finder, to pilots navigating their path in the sky above. Regardless of your understanding of the Doppler radar, for now knowing that the radio the wave’s frequency sent and received in relation to any given object moving or not that allows the system to work. Therefore, the next time a hurricane or thunderstorm is near, you can watch the local weather stations radar and understand a little more about what the Doppler radar is really showing you, and a little bit more of what makes it work.